Whilst submitting a CV tends to be the most popular way of applying for a job these days, the good old application form still has its place. 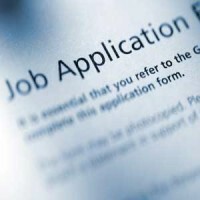 In fact, in some sectors such as the charity or community sector, completion of an application form is by far the most preferred method of applying for a job. If you struggle with application forms or if you’d simply like a little guidance about completing them, these basic tips which we have put together should hopefully help. With a CV, you have limitless opportunities to amend, make corrections or update it before submitting it to an employer; with an application form however you generally don’t – unless of course you make some copies of it. Always copy your form so that you in essence have a draft version. On the copy version, you can make all the mistakes you like and it won’t matter. On the real version however, even a single mistake can cost you your place in the recruitment process. This may appear to be common sense however many candidates tend to rush in and complete application forms without fully reading the employer’s instructions. These instructions could be something as simple as completing the form using black ink or only writing in block capitals. The reality is however that if you fail to adhere to these instructions, an employer may not take your application any further. After all, if you cannot follow simple guidance when completing a form, you may also do this when they instruct you to do a task, if they were to employ you. Just as with a CV, the details really do matter on an application form. Your spelling and grammar should be checked and checked again. All info should be accurate and true – whether that is the grades of any qualifications you have obtained or the dates of any employment you have had. Also, you should not have any gaps on your form. If there are sections which are irrelevant or which don’t apply, then simply indicate that by writing Not Applicable or N/A in the relevant areas. The purpose of your application form is to get you an interview and ultimately help you get the job. It is essential then that you sell yourself as much as possible on said form. Many application forms feature questions which are a little like interview questions in that they would require you to justify how you meet certain criteria or outline how exactly your skills and experience matches the requirements of the role being advertised. In order to ensure that you do this, always refer to the job advertisement or job description if you have it. Make sure that your answers on the application form indicate fully how you meet their criteria. If you’re in the process of completing an application form at the moment, we hope that these basic tips will help you do just that!